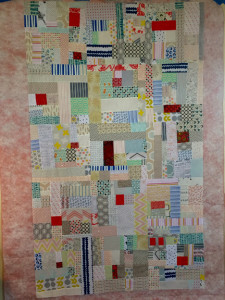 Finally, I’m inspired to start a new quilt for myself. 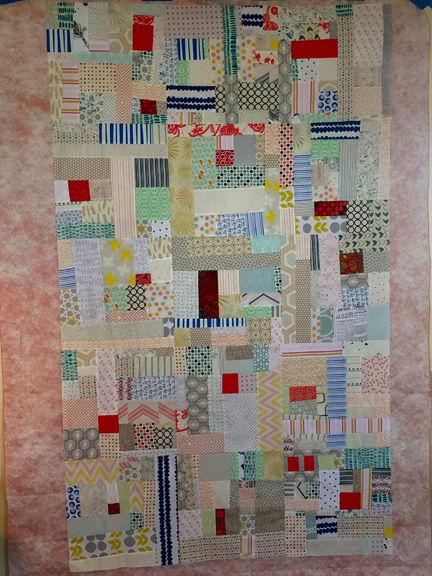 I’d been reflecting on my favorite Gramma-Great quilt: the pink and white Carpenter’s Wheel block. All those diamonds are so enticing! However, I’m not ready to attempt Y-seams just yet. As luck would have it, my colleague pointed me to the magic-8 method for making half-square triangles and from there I searched how to assemble the block using these triangles instead of diamonds. 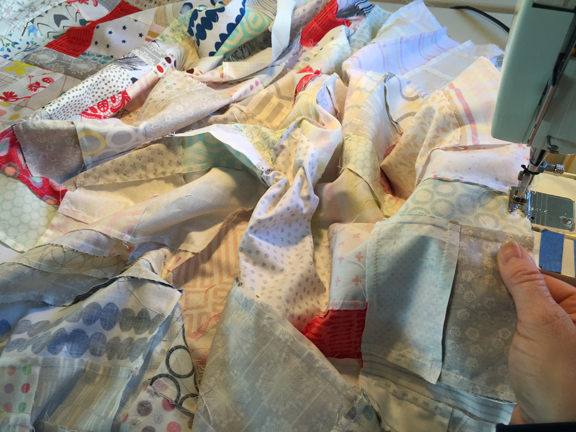 Last year, I purchased fabric without any intended project. I’d stumbled upon a delicate birdie print that I used for the wheel plus two coordinating solids.